This year we welcome the tent’s youngest ever baker AND its oldest... 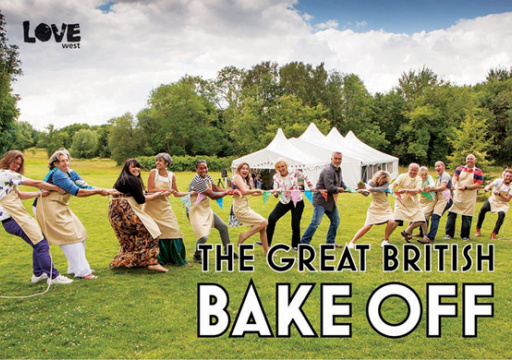 The bakers will be set challenges by judges Mary Berry and Paul Hollywood, which this time range from architectural biscuits, to a pirate ship made out of gingerbread; from a checker-board dobos torte to towering pies and a national landmark made out of caramel. The bakers are helped – or hindered – by Mel Giedroyc and Sue Perkins. Twelve new bakers and a mere thirty challenges between them and the title. On your marks, get set…BAKE!